We are currently tracking the whistleblower rewards issued by the SEC and CFTC for information about violations of the federal securities laws pursuant to the Dodd-Frank program. The programs pay between 10 and 30 percent of the monetary sanctions if they total an amount greater than $1 million. We have written about most of these award announcements on our blog. We encourage you to look there for more detailed information about the whistleblower programs. We will continue to fill in the information about the back awards below as we have time. 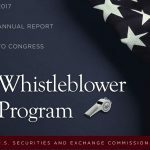 The SEC has awarded approximately $179 million to 50 whistleblowers since Congress passed the Dodd-Frank Act in 2010. 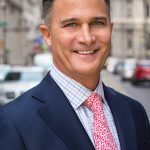 Although the SEC typically withholds information that would identify the whistleblower, it has provided some information about a few cases and provided general information about other payments. The Wall Street Journal reported in May 2015 that the award process was backlogged with more than 80% of those filing a claim form still waiting for a decision. Dec. 5, 2017: $4.1 million to a former company insider about a widespread, multi-year securities law violation. Nov. 30, 2017: $16+ million to two whistleblowers. One provided the initial tip and the other provided substantial ongoing assistance. Oct. 12, 2017: $1+ million for reporting a registered entity impacting retail customers. July 27, 2017: $1.7 million to whistleblower working with SEC before Dodd-Frank that provided information during interim period after Dodd-Frank passed in the format requested by SEC without complying with procedure for Dodd-Frank award. September 2016: $4 million award. Very little information released. August 2016: Second highest award to date – $22 million – for a report of accounting fraud that led to an $80 million settlement. May 2016: Second highest award (at the time) – $17 million – to a former company employee that provided detailed information that advanced the investigation. Five whistleblowers applied for an award. 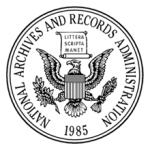 May 2016: 2 individuals awarded $450,000 for information leading to a corporate accounting investigation and additional assistance provided during the investigation. May 2016: $5-6 million to a former company insider. May 2016: $3.5 million to a current employee for information and supporting documents concerning an ongoing case. April 2016: $275,000 offset to cover prior judgment against the SEC whistleblower. March 2016: Three individuals split nearly $2 million with the two receiving lesser amounts coming forward 18 months later. January 2016: This was the first award for independent analysis by an industry expert. A subsequent news story identified the enforcement action as the first monetary penalty against a stock exchange (NYSE). Reported Amount: More than $700,000. November 2015: Former employee tipped SEC to wrongdoing at an investment firm but received a lower percentage. Reported Amount: $325,000. Percentage: Less than 30%. July 2015: Corporate insider provided information to crack a complex fraudulent scheme. Reported Amount: $3 Million. Percentage: ? 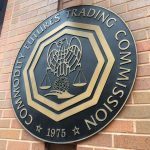 April 2015: The trader provided information about the failure to disclose a conflict of interest at an investment manager and suffered retaliation as a result. This was the first case of SEC whistleblower protection under Rule 21F-2(b)(2). Reported Amount: $600,000. Percentage: 30%. April 2015: Compliance officer awarded $1.5 million under exception to waiting period because of imminent risk of financial harm to investors or company. Reported Amount: $1.5 Million. Percentage: ?? March 2015: Payout went to a former company officer. Reported Amount: Between $475-000 and $575,000. September 2014: International whistleblower received largest award to date. August 2014: An audit & compliance professional received $300,000 after waiting the 120 days for the company to take no action on the information. Reported Amount: $300,000. Percentage: ?? October 2013: The largest award at the time. The SEC froze corporate funds to prevent loss to investors less than six months after receiving the whistleblower tip. The media later reported the identity of this whistleblower and the details of the company after a dispute was filed in court over whether an agreement to split the proceeds of the award existed. Reported Amount: $14.1 Million. Percentage: ?? August & September 2013: More than $25,000 to 3 whistleblowers reporting a sham hedge fund to the DOJ and SEC. Ultimate payout was supposed to exceed $125,000. August 2012: The first award was paid after the SEC collected $150,000 from the more than $1 million in sanctions. The whistleblower helped prevent additional victims from being ensnared due to the information and documents provided. Reported Amount: $50,000. Percentage: 30%. 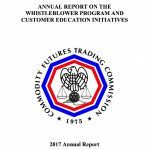 As of July 26, 2016, the CFTC has issued four rewards to whistleblowers pursuant to the rules developed by its Whistleblower Office following the adoption of the Dodd-Frank Act. $50,000. Tip led to opening of investigation. Reported Amount: Over $10 million. Percentage: Unknown. Reported Amount: $290,000. Percentage: Unknown. The commodities regulator provided no information about the informant or the nature of the underlying case. Reported Amount: $240,000. Percentage: Unknown. The commodities regulator provided no information about the whistleblower or the nature of the underlying case.